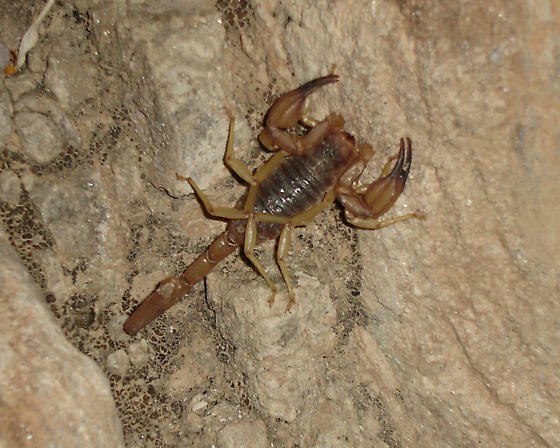 This scorpion was slightly smaller than a Desert Hairy. The chela looked heavier and the tail looked quite slender and wasn't nearly as large in diameter as a Desert Hairy's . I had heard that there are several different subspecies of desert hairy scorpions and I assumed that it must have been one I hadn't seen. After looking at different scorpions online and comparing it to the one I got, I believe it was Smeringerus vachoni vachoni.